The “FORCE” in the Porous Bronze filter industry!!! Almost 30 years ago, when Avenger opened its doors…. our hope was to compete fairly on a level playing field. As is the case with most business start-ups…. chaos immediately took over and the battle of the competitors had begun! Our principals, with a combined background of well over 100 years experience in the powdered metal field, hoped to bring some of their collective ideas into practice and fruition. This was an industry still being run decades behind available technology…. it was our hope to change that practice. Over many long hard years, Avenger has done so, becoming the innovator in Porous Bronze design, technology and quality. Our hallmark for decades has been price stability. In these highly competitive and economically challenging times, we want our customers to be able to forecast and project future business without us being their costing wildcard. With our tight manufacturing controls and innovative engineering design….. we hope this practice will become our standard bearer well into the future. Now, having blown our horn for the first few paragraphs…. there are those of you out there still asking…. “Just what is a Porous Bronze Filter?”…..
None of us know what the future holds. 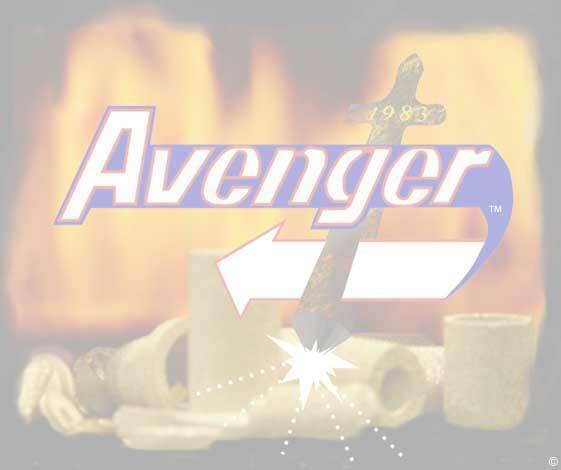 However, Avenger has moved to the vanguard of filter manufacturing….. and we plan to remain so. Our folks are friendly and will gladly work to make your design a reality! Our filter applications are as infinite as your and our engineer's imaginations! Our in-house method of streamlining production enables us to meet your filter requirements at better than competitive pricing and reduced production time for closer inventory control. Simply let our Engineer know your filter requirements and we'll go to work for you! · Let us know specifically what medium the part will be required to filter. · The micron size of the particulate matter/liquid to be removed. · Projected amount of contamination you anticipate per volume of liquid. · Total flow rate with allowable pressure drop. · Maximum tolerances if size is limited. · Part shape and allowable dimensions. Even if you don't have all the particulars up front…. we’ll work with you to iron it out! We look forward to the opportunity to expand our markets and rocket forward into a successful future with all our customers. We feel your choice of Avenger, Inc. for your filter needs will be the best business decision you will make today! Let us prove it to you!